In traditional project models, it is essential to have some upfront thoughts about when a task will be completed. Scrum is no different. Scrum is an effective software development process. Unlike sitting and putting hours to tasks by individuals, it needs excellent team collaboration that is done by the cross-functional Scrum team. We will see how it’s been carried out and the benefits we get out of practicing Scrum. Let’s take a look at some of the methods that are used widely by teams across the globe. This is a great technique for estimating a massive backlog of relatively large objects. Especially if you have numerous coexisting scrum teams operating on an equal product. 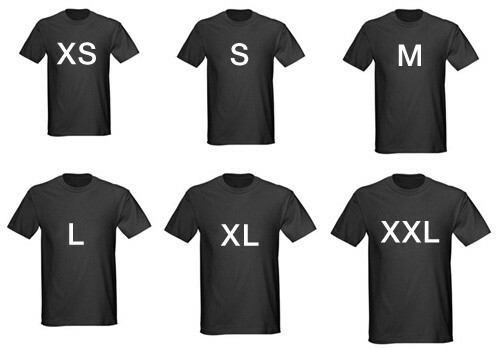 Items are estimated into t-shirt sizes: XS, S, M, L, XL and XXL. The choice about the size is based totally on an open and mutual collaborative dialogue. This method is a casual and quick way to get a feeling about the full size of your backlog. This method is primarily based on finding similarities in the items in the product backlog. The group is requested to organize them collectively. It will subsequently be ordered visibly in such a way as to shape groups from small to big. It will work well in small project teams with relatively small product backlog. Items that require clarifications can be raised to Product Owner and get it clarified. Group participants may also use a place inside the room to seize questionable Product Backlog gadgets inclusive of objects, which can be too ambiguous to shape even after discussion with the Product Owner. This is the most widely used estimation method used by scrum teams across the world. It is basically a measure of the effort that needs to be in place for implementing a particular product backlog item. We normally assign a relative value to each item in the product backlog. For instance, a story which is assigned a value 2 should be actually double the work when compared to a story with a value 1. The regular practice is to use Fibonacci series of numbers. The main factors which have to go into the story points are the depth of the task, the complexity associated with it and the risk factor. The team will be sitting together with the Product Owner so that he could give clarity on the stories. This estimate should accommodate all the necessary things to achieve the definition of done. Planning Poker is an interesting estimation technique in Scrum. It is very much democratic in nature as it is a consensus-based technique. The proceedings are started when the Product Owner (PO) reads out a story and explains it. The team (each member) holds a deck of Planning Poker Cards with values like 0, 1, 2, 3, 5, 8, 13, 20, 40 and 100 some sets. The deck may also contain an infinity card which is used to indicate a story that is too much dependent and inestimable. The team will discuss the feature in depth and will ask clarifications and queries to the PO as and when required. When they are done with the discussions they will select a card from the deck as per their level of understanding, and they all will show the cards at the same time when they are asked to show. If all of them or a majority shows a similar value, that will become the estimate. It may not happen at the first time mostly, but the process can be repeated until they reach a common point. The different numbers are shown basically because of different levels of understanding. It can be cleared while doing this and reach a consensus. This is an enjoyable and productive way for estimation. The team will get complete benefit since they get an open platform to discuss and express their views on the stories and each member is aware of all the stories. Failure to adopt an efficient Scrum estimation technique will lead to lack of planning and management ending up in undesired product and unhappy customer. These estimation techniques will help you deliver the desired product within the specified deadlines. 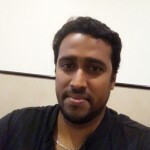 Taju Joseph, Senior Business Analyst and Agile Coach at Bridge Global having 10+ years of experience in the industry. He is also the "Agile Coach" in Ekipa. Certified Scrum Product Owner®, helping teams on Agile Transformation.